Contribution in arts, sports and teaching, as a publicist and politician. Former: professor of painting, Academy of Fine Arts; player, national basketball team. 1998, entered politics as Minister of Culture, Youth and Sports. 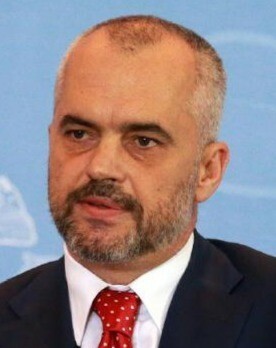 2000, became mayor of Tirana Municipality. Set off on a campaign aimed at transforming and regenerating the capital city by restoring public spaces that were, until then, usurped by illegal buildings, and increasing green areas, while instilling a new spirit and vision in the administration of the capital. 2003 and 2007, re-elected as Mayor of Tirana. 2005, elected Chair of the Socialist Party of Albania, leading it through opposition years and into the victory of 23 June 2013. Author of two books. Recipient of awards: World Mayor Award (2004); European Hero Award, Time Magazine.